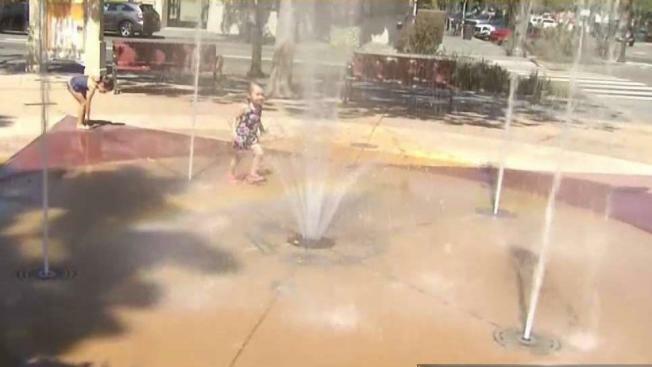 Sweltering temperatures will once again blanket several cities across the Bay Area Monday as a heat wave continues to beat down on the region. The hot weather, which has prompted an excessive heat warning for inland valleys and coastal mountains, a heat advisory for cities hugging the San Francisco Bay, and a third-consecutive Spare the Air alert across the Bay Area, has firefighters on high alert. Expected highs on Monday are expected to top out around 105 to near 110 degrees in the East Bay valleys, according to the National Weather Service. North Bay locations such as Santa Rosa and Napa will also see high temperatures in the triple digits. In the South Bay, San Jose is expected to reach 96 degrees while Morgan Hill should jump over 100 degrees. 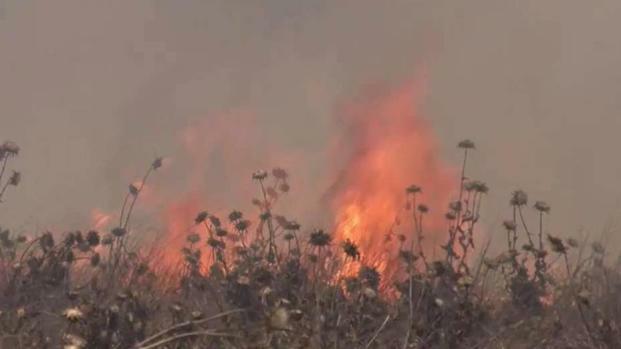 Fire concerns as excessive heat is expected in parts of the Bay Area. Kris Sanchez reports. Closer to the bay, cities such as Oakland and Palo Alto will hover between the high-80s to low-90s. Temperatures in San Francisco will reach the high-70s in some neighborhoods away from the coast. For those seeking relief, Half Moon Bay appears to be the coolest Bay Area location with only a forecasted high of 68 degrees. Firefighters were already out in full force Sunday battling a fire just south of Livermore near Mines Road. The blaze has torched 44 acres and was 40 percent contained as of Monday at 7 a.m., according to Cal Fire. Another fire also cropped up in Petaluma on Sunday. The blaze scorched about 18 degrees near Bodega Avenue and Nosecchi Road before fire crews were able to gain the upper hand, according to Cal Fire. The fire was 85 percent contained as of Monday morning.